Well yesterday Tour De France winner Geraint Thomas was cheered by crowds along the streets of Cardiff celebrating his classic win. I, wife and daughter were not amongst them. Not because we're not really cycling people. It would have been an interesting experience to have been there. We just had a prior appointment. (And as a quick aside whilst all this deserved attention is put on Mr Thomas spare a thought for Nicole Cooke. Welsh former Olympic and World Champion cyclist. She reached the peak in her sport and all this attention didn't come her way). But I digress. We had a prior appointment. Tickets were obtained months in advance. Not my fault Geraint Thomas then won the Tour De France. Not my fault the Cardiffian celebrations occur on the date of the appointment. I mean he could have changed things, I couldn't last minute change the date of the appointment now could I? 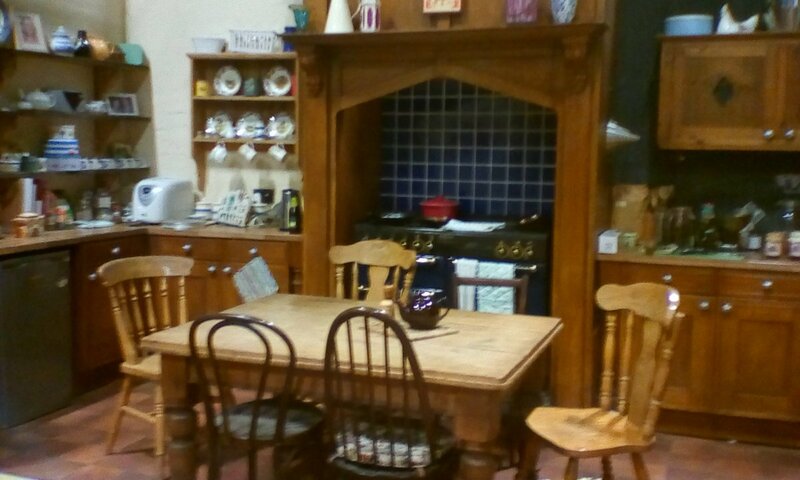 I suspect you'd have guessed the appointment was to have a tour of the sets of the Welsh language soap opera Pobol Y Cwm. Something that BBC Wales arranges every year and just so you know is free. As regular readers know I'm a fan, wife flits in and out and daughter does what teenage daughters do. But all of us were at BBC Wales studios yesterday afternoon, along with other fans (rough count twenty - thirty). 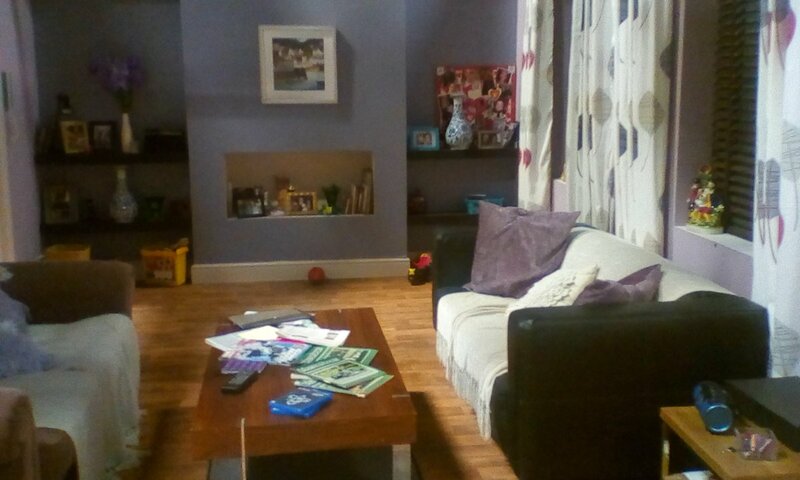 After a quick introduction we were led to the studio sets for the interior scenes. I won't bore you with every one. But this was notably nostalgic. I first watched Pobol with my wife when we courting. We took turns seeing each other for weekends between London and Cardiff. When I visited Cardiff we would watch the Sunday Omnibus edition before going to bed early as I needed to catch the first train back to London. At the time Eileen and Denzil were running the farm. Now it's Eileen and Jim (through a soap opera journey too complicated to explain here). 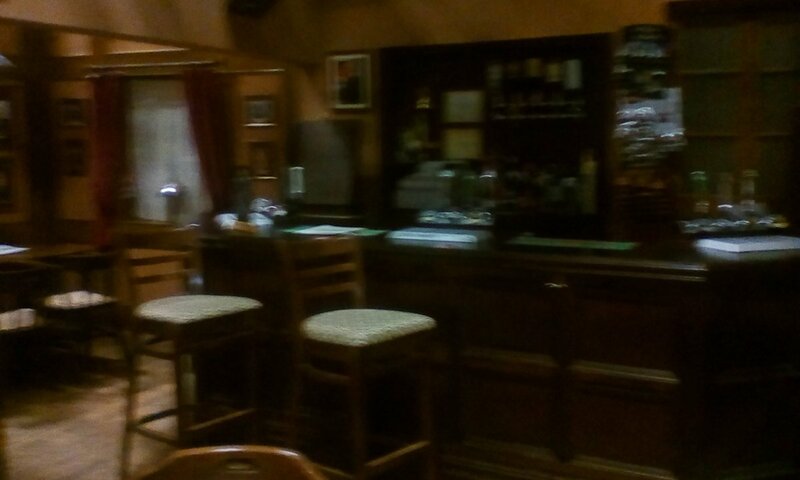 Apologies for the blurring but here's the local pub. 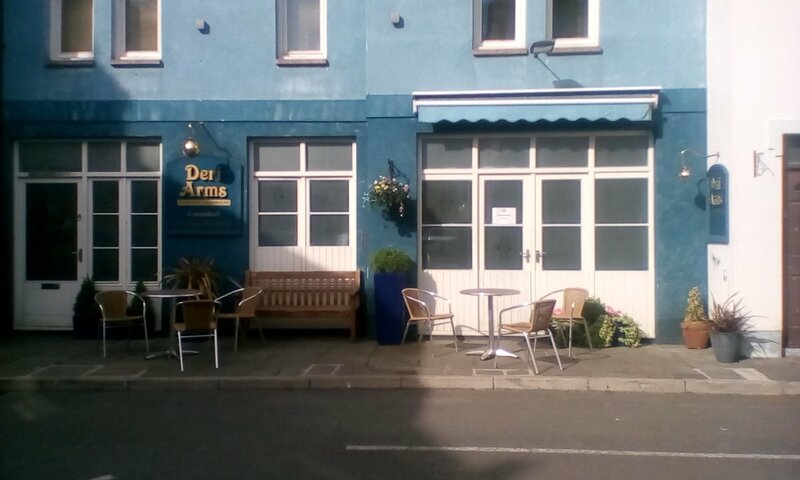 The Deri Arms . This is the flat where Britt Monk lives with her partner Colin. I have mentioned before I think that I've a soft spot for that character because oh those many years ago when she gave birth to Chester that (based on the Sunday omnibus programmes) was when my wife suspected she was pregnant. The other character being Sheryl, who gave birth to her son when our daughter was born. We went to set of the high street afterwards. 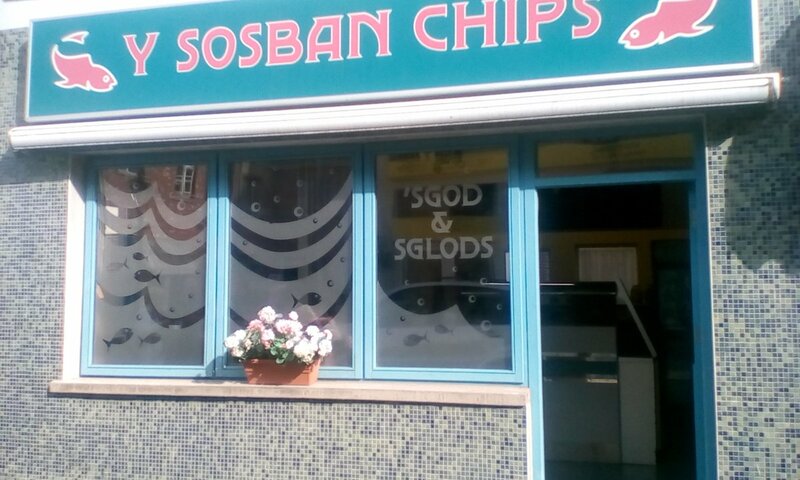 Britt works in the local Chippy. 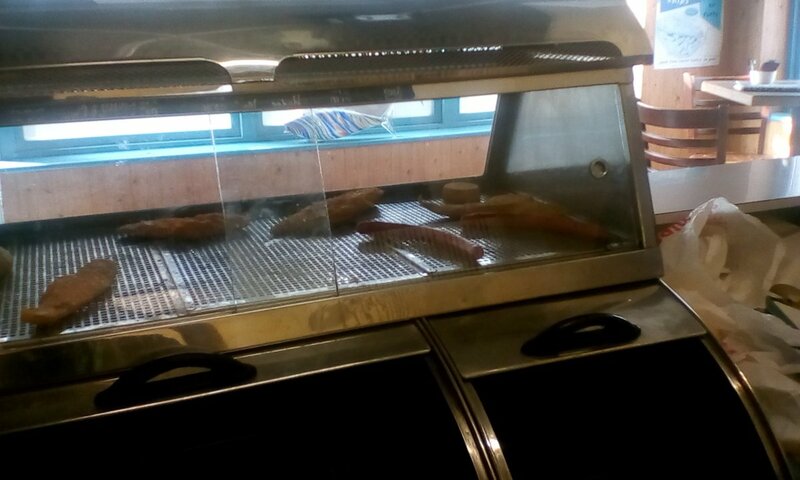 Which of course allowed me (and you have permission) to pretend with theatrical battered fish etc. Now I mentioned the soft spot I had for Sheryl as well. 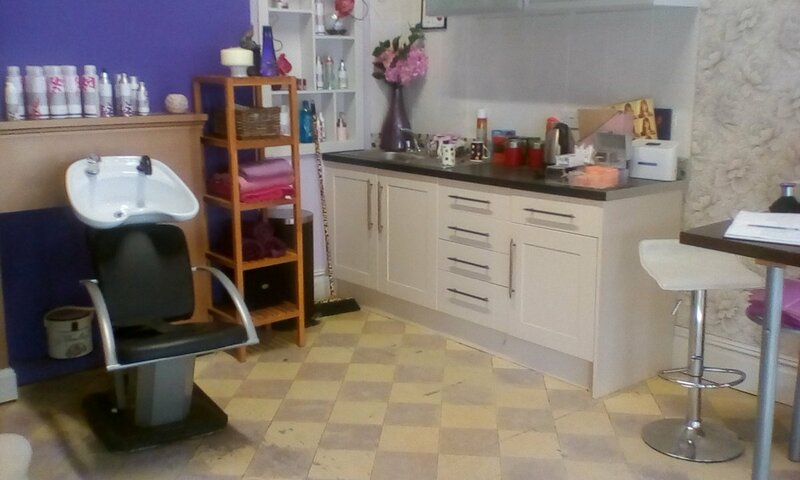 Well this is the hairdressing salon where she worked. 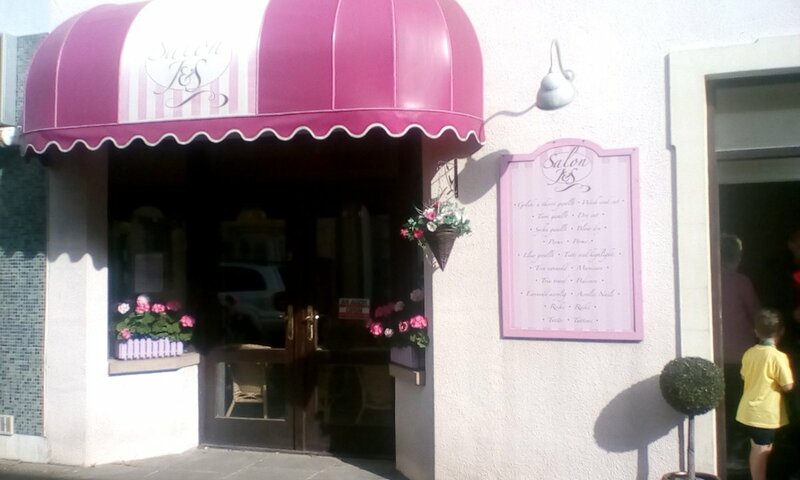 It's where she got murdered (How could that happen?) The current major storyline in the programme is who killed Sheryl? My money is on her husband Hywel Llywelyn who I reckon couldn't take it that she was had an affair (which of course is ironic given when I started watching Pobol he was the Cwmderi Casanova). I had a great time. So though did wife and daughter (who now want to watch it). So sorry Geraint. Cycling's loss is soap opera's gain.